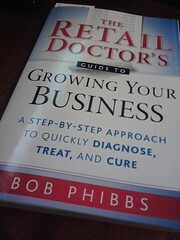 Bob Phibbs is The Retail Doctor. (No, really, that’s his registered trademark.) And he has the credentials and experience to have a valid claim to the title. He’s helped many ailing retail businesses get healthy. He is the author of The Retail Doctor’s Guide to Growing Your Business, a practical and tough guide for retail business owners. (Highly recommended.) I sent some small town specific questions, and Phibbs was kind enough to pay us a house call. 1. In a small town, retailers have a limited supply of potential customers. How can rural retailers survive? There are three things to consider. 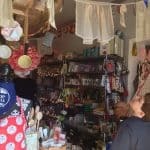 First, people probably drive from farther away to go to your store, so as a business owner, you have to give them a good reason to keep coming back. Don’t assume that you are a customer’s only option. Second, stores need to evaluate if they are really holding on to all of their existing customers – or if they have bought into the lie that everyone already knows about them. A few years ago when I was hired to help a coffee chain improve their business, I walked 1000 homes in ½ mile radius of their store. The results were surprising- less than 25% of the people knew the store existed. 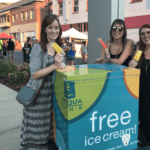 While this may seem like bad news and sure, in some ways it was, it helped us focus the store’s marketing efforts to know what they could do better. One year later, we assessed the same people and 90% of them knew the store’s tagline and knew the location. Don’t assume that everyone knows you because you’re in a rural area and the options are limited. The chances are good that they don’t. Finally, is your store viewed positively in the community? God forbid you’ve burned through the neighborhood and are known to be a bad business for whatever reason. Does Bitter Betty work for you? Do customers loathe their experience with your employees? You need to know if people have a negative taste in their mouth about your store, and if they do, you’ll need to do some reparations to your brand before you do any further marketing. Marketing to people to get them in the door, but putting them in touch with an unpleasant staff that prevents them from coming back, is wasted effort. 2. Small town retailers often have to adopt a higher markup than the big city stores. This can be because of limited volume, higher wholesale prices or transportation costs. What can they do to not lose sales? Learn how to make sales and don’t assume the merchandise is going to sell itself. The reality is that people always complain about prices in rural areas – but at the end of the day, they’ll pay for convenience if you make the store a place that makes them feel better. That’s what’s missing in most retail. You can’t be like a Wal-Mart and just stack it and hope someone will buy it. The reality is you’re going to have to do a better job of displaying and selling it to justify selling it at that higher price. If you do these things, you’ll gain loyal customers who are willing to pay a little more for your product because they appreciate the extra effort you’ve put forth to get it into their hands. 3. 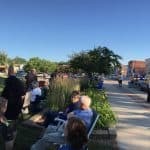 Since small town retailers face the same online competition as big city stores, how can they make up for sales lost to online sources? I don’t think small town retailers should even worry about competing in the online space. Control what you can control. Look at your four walls. Unless you’re going to be like Amazon, stay in your own ballpark. Do what you do best and focus on your business. Don’t focus on online competitors. 4. Limited workforce is another big issue in small towns. Are there special techniques retailers can use to manage their smaller workforce? 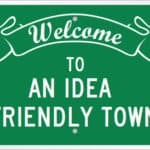 Rural or smaller town retailers typically set their hours for what’s comfortable for them to begin with not what’s comfortable for their customers (i.e. closed on Sundays, limited hours on Saturdays, close earlier during the week). More than likely the hours they’ve chosen aren’t the best times to make money. If your store is closed on Sundays, you may be missing out on two of the top four money-making times! You have to test these against your store to see if it proves true. Most retailers have computer programs that can track transactions for every ½ hour block of time. Compile these reports on a monthly basis and look at times when the most sales are happening. Build a schedule for your employees around those higher sales times. Put the customer first when you schedule, not the employee. Thanks Becky & the Retail Doctor. These are all good suggestions, whether you live in a rural area or not. The experience and relationships sell the local stores!